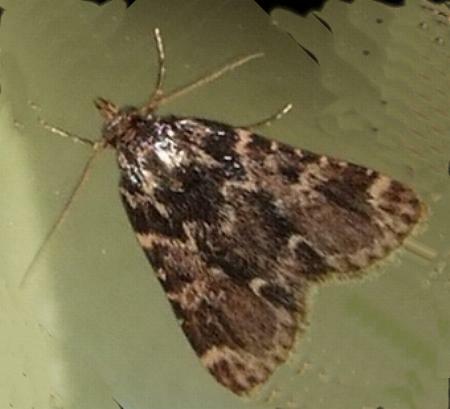 The adult moths have brown forewings crossed by pale zigzag lines. 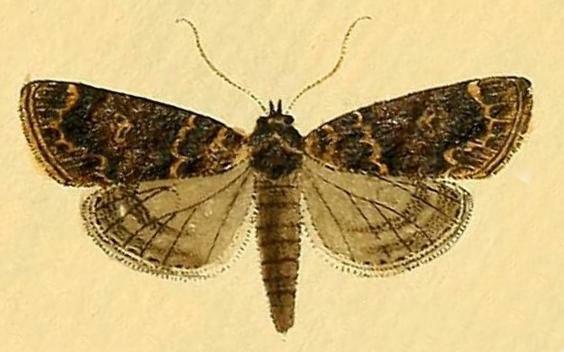 The hindwings are grey, each with two dark submarginal arcs. The wingspan is about 2 cms. 1809, Plate 23, fig. 153.